Anne Torrez is a mom, an athlete, an entrepreneur, a coach and founder of Tri It Your Way, a triathlon training service. Anne discovered her brilliance and value as a human being through competing in the triathlon. In this episode, Anne discusses the transformation she’s undergone from being a very shy girl to becoming a focused, determined athlete and how her evolution fuels her compassion to help others do the same. 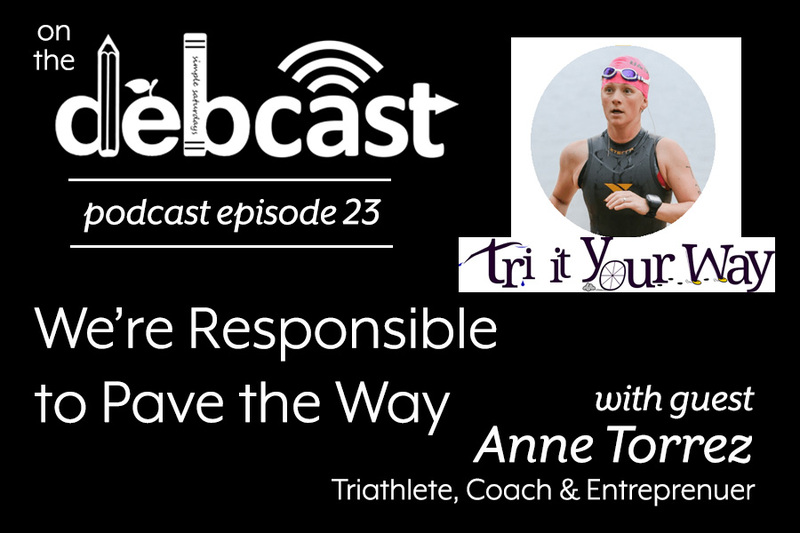 Speaker, coach, and athlete Anne Torrez Is the founder of Tri It Your Way, an online and in-person coaching program for triathletes who want to improve their performance and efficiency. She dabbled in various sports and activities when she was younger, my true road to fitness and racing began when she was in grad school. Anne felt unhealthy and unsatisfied with her energy and happiness levels. Anne began with picking up recreational running and trail biking, and learning more about how to eat more healthfully. On a whim, she signed up for a triathlon to challenge and motivate herself. Anne didn't know much about structured training, and didn't know how to swim, but after training for and racing her first triathlon she was hooked! Before discovering this sport, and had never found something that excited her so much or gave her such drive and motivation to excel. Michelle Cooper describes the tender and supportive side of the physically active, and sometimes violent, sport of roller derby. She explores ways that the sport challenges the heart and soul of each competitor. Michelle also explains the notion that there are times in life that we have to borrow another’s belief in ourselves when we no longer have the strength to do so alone. 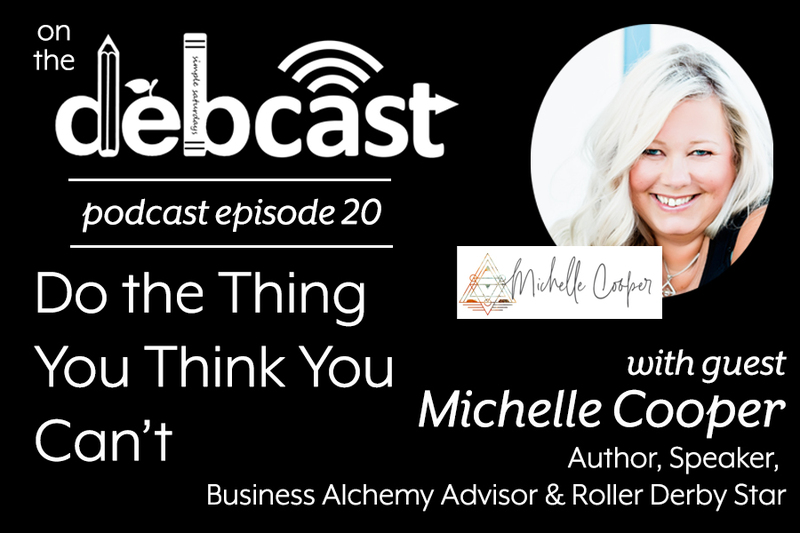 Michelle Cooper is not your average Author | Speaker & Business Alchemy Advisor – in fact, she’s not your average anything! At the heart of all of it, Michelle is an Influencer dedicated to shifting the conversation around money, shame, our perception of personal value and how we co-create the reality of our dreams. Michelle is a no-holds-barred financial powerhouse with a passion for seeing others succeed. 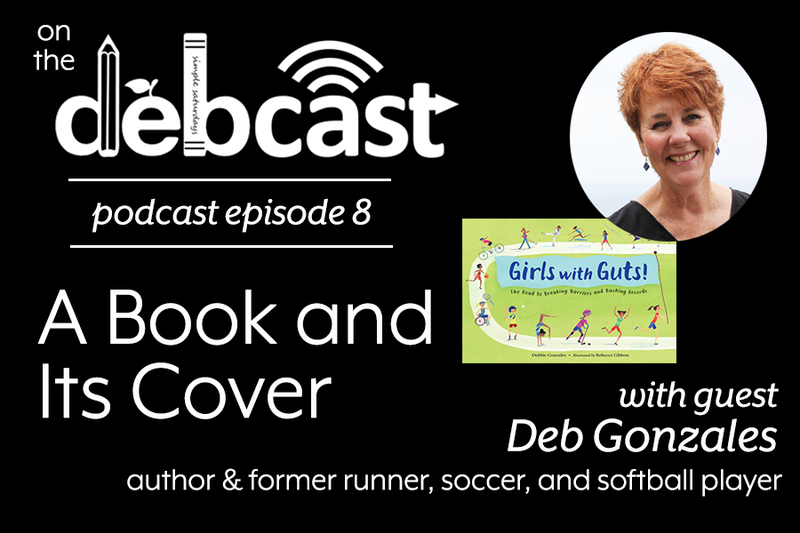 Deb discusses the inspiration, creative process, and dedication for her debut picture book, GIRLS WITH GUTS! :THE ROAD TO BREAKING BARRIERS AND BASHING RECORDS. 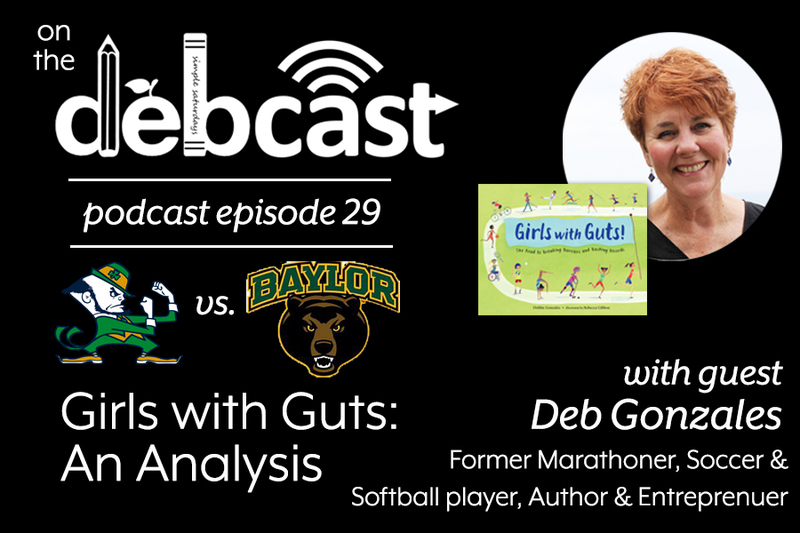 In this episode, she highlights some of the vignettes featured in the book, the passage of Title IX, and impact the tenacious female athletes of the past have had on the educational and sporting opportunities girls engage in today. Launch date - May 14, 2018. Preorders now available. Debbie Gonzales is a career educator, curriculum consultant, former school administrator and adjunct professor, and once served as a SCBWI RA for the Austin Chapter. Deb currently devotes her time to writing middle grade novels, crafting teacher guides and various other freelance projects. She's the author of six “transitional” readers for New Zealand publisher, Giltedge, and the forthcoming non-fiction picture book Girls with Guts: The Road to Breaking Barriers and Bashing Records (Charlesbridge, 2019). A transplanted Texan, Debbie now calls beautiful Ann Arbor, Michigan home where she lives with her husband John and spunky pup, Missy. Deb earned her MFA in writing for children and young adults from the Vermont College of Fine Arts. Julie and Debbie discuss the impact participation in athletics has had on Julie's personal and professional life. In addition, they explore the premise of GIRLS WITH GUTS: THE ROAD TO BREAKING BARRIERS AND BASHING RECORDS, the non-fiction picture book project they share. Julie Bliven is an Associate Editor and Contracts Manager at Charlesbridge Publishing. She holds an M.A. in Children’s Literature from Simmons College, where she played collegiate basketball as a Simons Shark.